The Materiality Matrix will allow you to understand the Business Case for CSR for your business (and help you put a cash value on it) and a central input to a communications strategy. This is part 3 of a 4 part series: Top Tip – Master Materiality. Subscribe to receive notification of the remaining part! 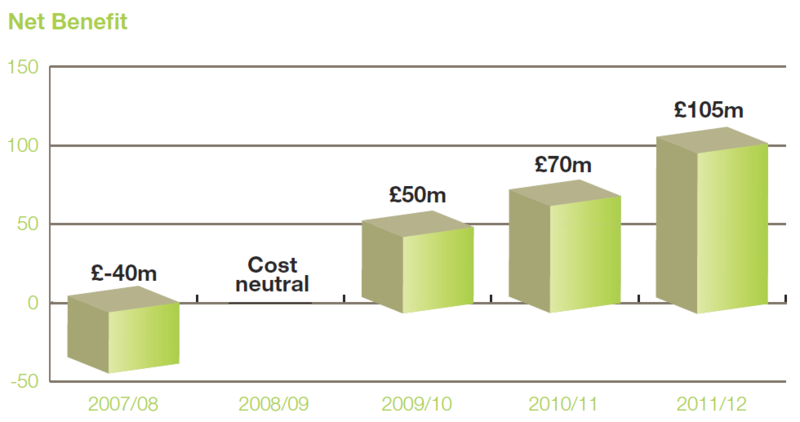 The best example of a publicly disclosed business case for CSR is that by Marks & Spencer. Now I don’t usually make such grandiose claims – preferring ‘good’ to the superlative ‘best’. But I promise that’s not an overstatement by me – it is currently the only fully fledged and separately documented business case for CSR published by anyone! Their report (Plan A Business Case) is separate to their CSR report (How We Do Business) and details their commitment to measuring and managing CSR. 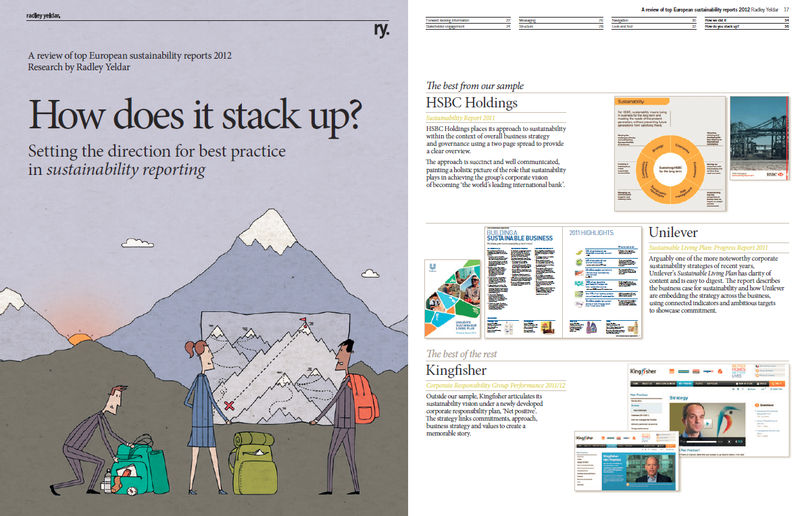 It also has some wonderful insights about their learning on CSR and reporting. It seems that the old MBA adage that if you can’t measure it you can’t manage it, is true here also. If the experience of M&S in building the business case for CSR is anything to go by, then companies must take measurement of CSR seriously. 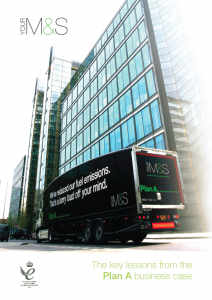 Marks & Spencer’s ability to identify the value of their CSR initiatives is unmatched by anyone (including the £105m. Net Benefit identified above), although Unilever is close behind, and several others are talking about business benefit in a way that we didn’t see a few years ago. ASDA are starting to put their head above the parapet and talk about this too, and using a similar number (£100m. ), although over a longer time span (since 2005). It is also worthy of note that Marks & Spencer have certain categories of business benefit that they will not publicly put a number to. For example, they wont put a number on additional employee engagement, presumably because to do so would undermine the additional motivation that employees have found because of the CSR agenda. They also spend quite a bit of time in the report talking about how they have moved investors and their understanding of the importance of CSR to revitalising their business. The Business Case report is an evolution for them – their 2010 How We Do Business report contained snippets of the Business Case for CSR throughout every are of their report, and was based on their own assessment of materiality of CSR issues to the business. The business case is crucial because it will assist with aggressive targeting of future performance and return on investment indicators. The experience of many companies is that tracking investment shows that CSR is not just entirely appropriate, but a really good investment. But ROI on CSR varies not just sector to sector; it varies from company to company and strategy to strategy across business units. So companies need to ensure they effectively measure and manage their CSR investments. In a sense, M&S took a leap of faith by investing £40m. per year in sustainability. Turns out it was one of their best investments in that time period. A good Business Case is also core to winning hearts and minds within your company, which is itself an important part of the journey to becoming a more sustainable company. It is also a vital part of communications with stakeholders and also with investors, who are increasingly sophisticated when it comes to CSR. A good Materiality Matrix will clearly identify the things that you need to measure in order to calculate the business case for CSR. The business case will also form the basis of Integrated Reporting, if that is a priority for you. Doing CSR only because it’s the ‘right’ thing to do is a path to potential disaster, especially if the winds of change blow through the business and key senior staff change. Once the materiality matrix is formed, it should be used as an input into communications for stakeholders. All of the most relevant issues to stakeholders should be addressed, especially if the company is giving priority to some issues before addressing others. Companies should also be clear about the issues that are being addressed now and issues that will be addressed in the future. Such transparency builds trust and consequently brand value. Communications ‘101’ says that in order to communicate with anyone, you need to segment potential audiences. CSR Communication is no different. The CSR Report is something of a necessary evil (in that it adds to the impression of transparency and commitment to being responsible), but it should be the basis for addressing CSR issues within a wider communications strategy. Like Radley Yeldar says “If your company is like most, your report will only be read by a minority of your stakeholders” and you will need to supplement communications with more targeted messaging if they are to reach intended audiences. Having spoken to stakeholders, you now know what they want to hear about, so tell them! Radley Yeldar’s “How does it stack up?” report should be compulsory reading for anyone who wants to know who is leading the pack in terms of sustainability communication. They conclude that HSBC, Unilever and Kingfisher are leading the pack in terms of communicating their material issues and how CSR is connected directly to their business. I don’t disagree with their assessment, and am going to hear more at their Event discussing their findings in July! The Materiality Matrix also helps to identify the business case for CSR in your business, which is in itself an important thing to talk about with your stakeholders and investors. Investors care about sustainability (thanks PwC), however they are not a ubiquitous market, and it seems that different investors (perhaps enamoured of their own secret recipe) look at different things, so even treating the investment community as a single communications audience is a mistake. Of course, I’d heartily recommended that you look beyond this blog for ideas about CSR reporting; particularly to Elaine Cohen’s CSR Reporting blog (particularly at 31 ways of looking at materiality) and the market insight of Radley Yeldar, who have almost a decade of conclusions about CSR reporting.